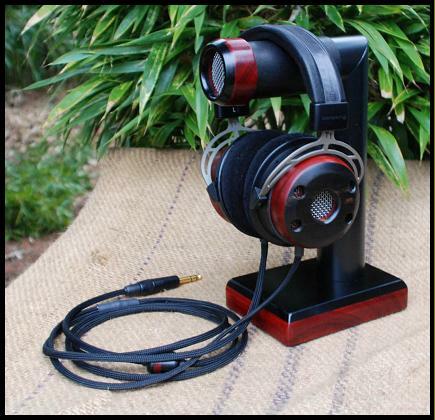 You provide the pair of Beyer T-1 headphones, then I'll implement my aesthetic modifications with your choosing of exotic woods. 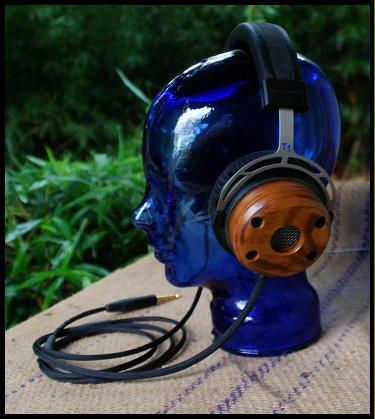 I personally thought they sound better after mods, highs are just plain sweet! 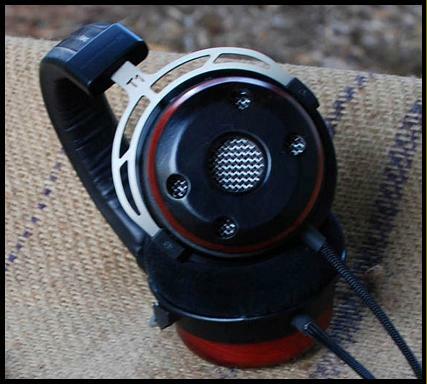 I use a similar hole style to the stock cups, but don't cover them with one large screen like they are stock. 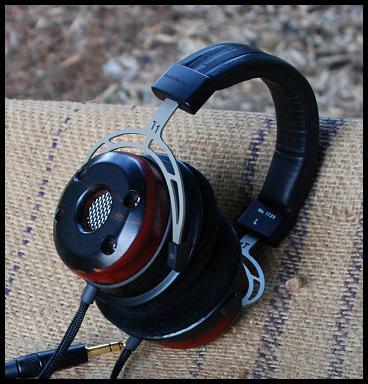 I replace the grayish stock incompatible wood cup holder rings with black ones from a donor headphone that I provide. The band stays as your stock T-1 band. Since this band is fairly nice, there is no option for V3 deerskin cover (at this time). 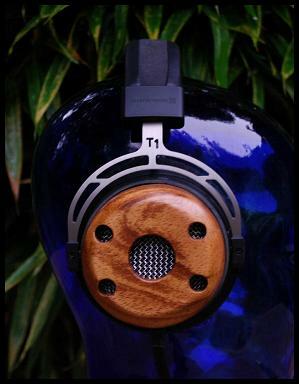 While some of the pics above show a two wood design, they are only available as a one wood mod (unless custom ordered). 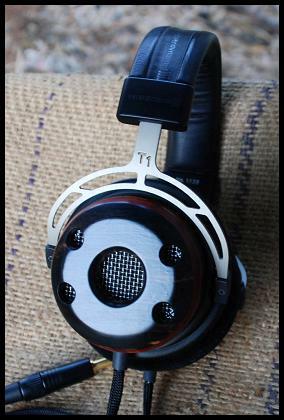 However they do give a good view of the five hole design and basic shape of a T-1 modded headphone.